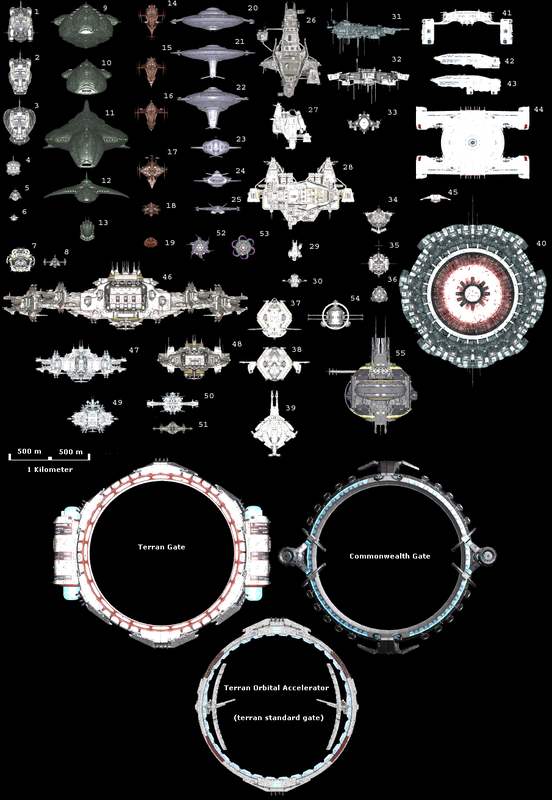 Have you ever wondered on how big your Capital ship is? Have you ever discussed for weeks what was the biggest/cooles/meanest ship in game? Have you ever been annoyed by the utter lack of a 3 Views ship size Comparison? You have found the right thread, my friend! 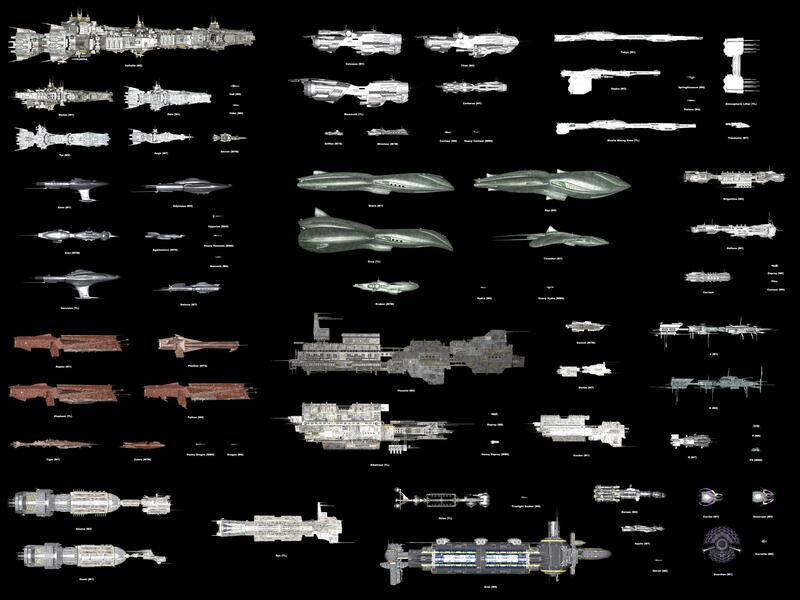 Here you will see ALL ships from M7 to M0 compared to see yourself how big/cool/mean they are! With a stick that is "1 Km long" in scale, to show the real dimensions of the ships. Now you can compare all your favourite ships to whatever you see. Ingredients: X Models 3D Viewer, Microsoft paint, Gmax, PC's calculator, a ruler, lots of free time. To all modders and players with modded games... if you want your new ships to be included just ask! Feel free to post any comments/questions! Or only to say OMG how BIG is the Thresher. Big thanks to Bertone for indicating the program to do this. Last edited by someone else on Tue, 8. Sep 09, 00:09, edited 33 times in total. ... actually these do show up something else. The Boreas really was supposed to be a light destroyer - it's tiny! How large is a Pineapple ? I can name all those ships simply by looking at their front and without looking at the list. What does it say about me? Making a metric scale is meaningless (and too tricky for me). What here means something is the relative scale. It says that you have played a lot, like me! I'd really recommend changing the file type to almost anything besides bmp. why? it is not a big file! Converted to PNG, now less than 4 megabytes all together! Last edited by someone else on Fri, 1. May 09, 23:52, edited 1 time in total. Actually I can tell the difference between Shrike and Gannet. I spent hours on F3 while my Shrike was busy clearing up Khaak sectors so I will recognize this slim profile everywhere. I still can't believe it's a Teladi design. delray wrote: I can name all those ships simply by looking at their front and without looking at the list. What does it say about me? Hmm - you need to get out more? If it wasn't for the fact it's going, vertically top to bottom, M2, M1, TL I'd not have known which was the Python, Raptor or Elephant - nor the Tokyo vs MMBS... and a couple of others. Mind, I've never yet seen some of those ships in-game, like the Aran or Valhalla - never seen a Hive Queen either for that matter. Do they actually exist? yep! They are fully functional! The Valhalla isn't anywhere in-game. But scripted in works fine (but is too big to use gates safely). The Aran has a still active dedicated thread called "Goner Aran Capped!!!!!!!!!!!!!" somewhere. The Hive Queen look like a Kha'ak carrier... (with lots of shields) not a lot of modeling effort! And can be found at the end of one plot. ... heheh, in which case I've probably killed it without even realising it (or one of the wingmen I took along did) since I've completed every major plot, as far as I know, in my main game. I can be fairly certain about which plot it's in - unless I've missed something, there's one obvious major candidate. Jesus... HOW big is the Valhalla?! how does it fit into Trans-orbital accelerators... or gates? archonic energy wrote: Jesus... HOW big is the Valhalla?! The valhalla is not in the game, if it was, it'd crash the first time it tried to enter a gate. is it possible to make it bigger ? like 9000x7500 ?